Named after a CIA mind manipulation project, MK Ultra is a potent and powerful marijuana hybrid incorporating the very best genetics from its OG Kush and G-13 parentage. 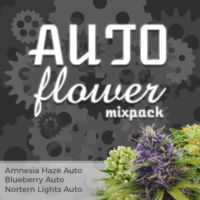 An Indica dominant strain, perfectly capable of adapting to both indoor and outdoor growing techniques, our recommended MK Ultra marijuana seeds are all completely feminized, guaranteeing female plants that produce a good quality harvest of dense, colorful buds. Although it’s a strong form of marijuana, MK Ultra isn’t that difficult to grow, and with a small amount of knowledge, most growers, new and experienced can produce a high quality crop. Flowering requires an average of between 8 – 9 weeks indoors, while outdoor growers can expect to harvest around late September. Once dried, the buds have a sweet, creamy flavor and strong earthly aroma that can be strong and pungent. A great night-smoke, providing almost instance pain relief, while helping to relax both the body and mind. Not advised when you have tasks to complete. 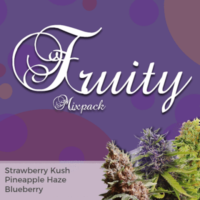 We provide some of the finest MK Ultra marijuana seeds, all feminized and guaranteed to produce the highest quality female plants. 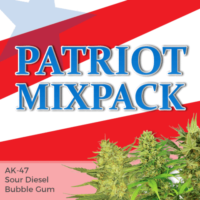 Available in a selection of pack sizes, you can now buy these seeds online and enjoy free, guaranteed delivery to all parts of the USA. Extremely potent with a mind-bending high and powerful ‘body-buzz’. MK Ultra is a potent Indica dominant hybrid that produces up to 21% THC and a low CBD content, amplifying the high. 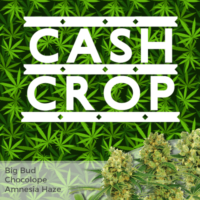 Outdoors, each seed planted in the Spring should produce at least 6 ounces of potent buds. Indoor growers should expect around 380 grams per square meter when fully dried and cured. A strong ‘body-buzz’ together with long-lasting pain and stress relief. A strain loved by both recreational and medical users.